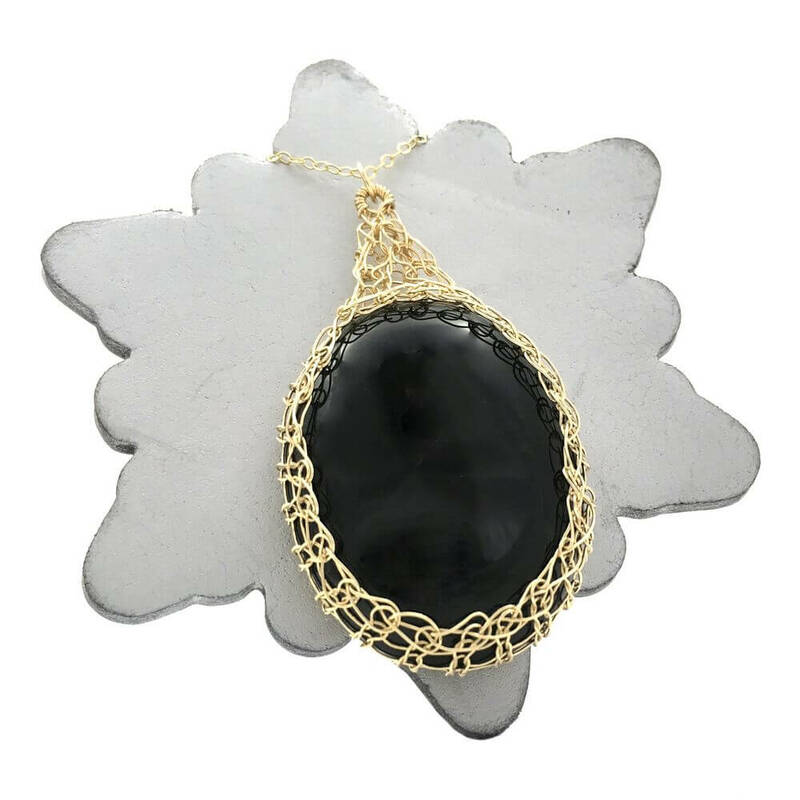 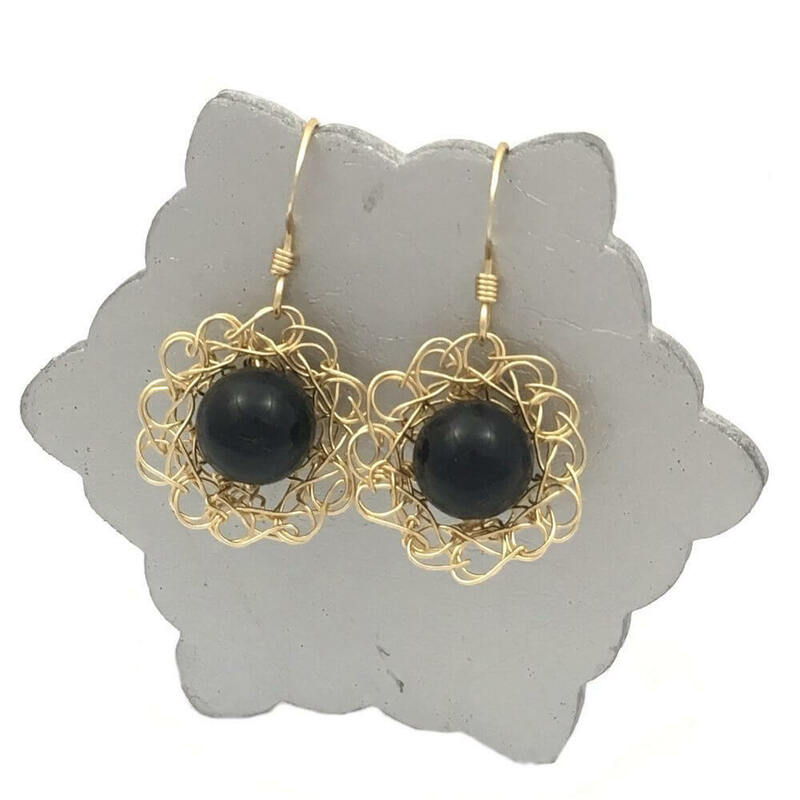 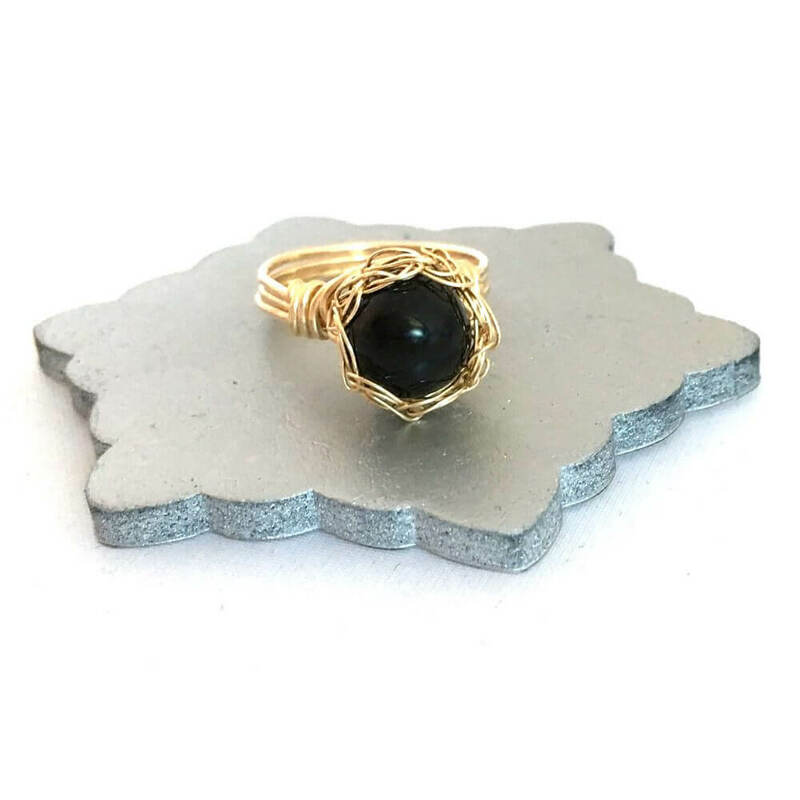 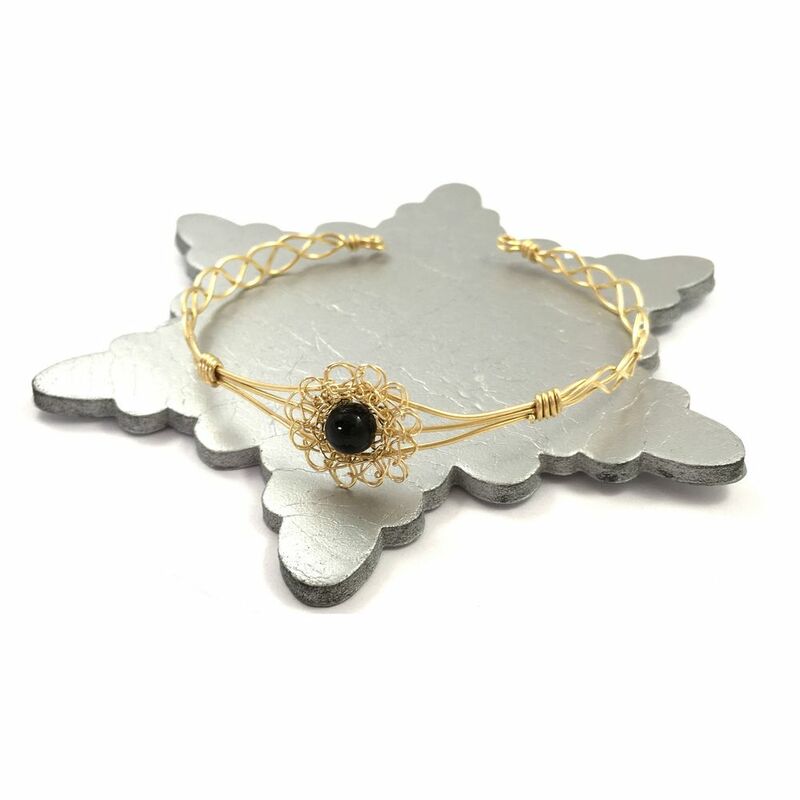 The Gold Onyx Cosmo Earrings incorporate a circular crocheted form orbited by two deep black onyx stones. 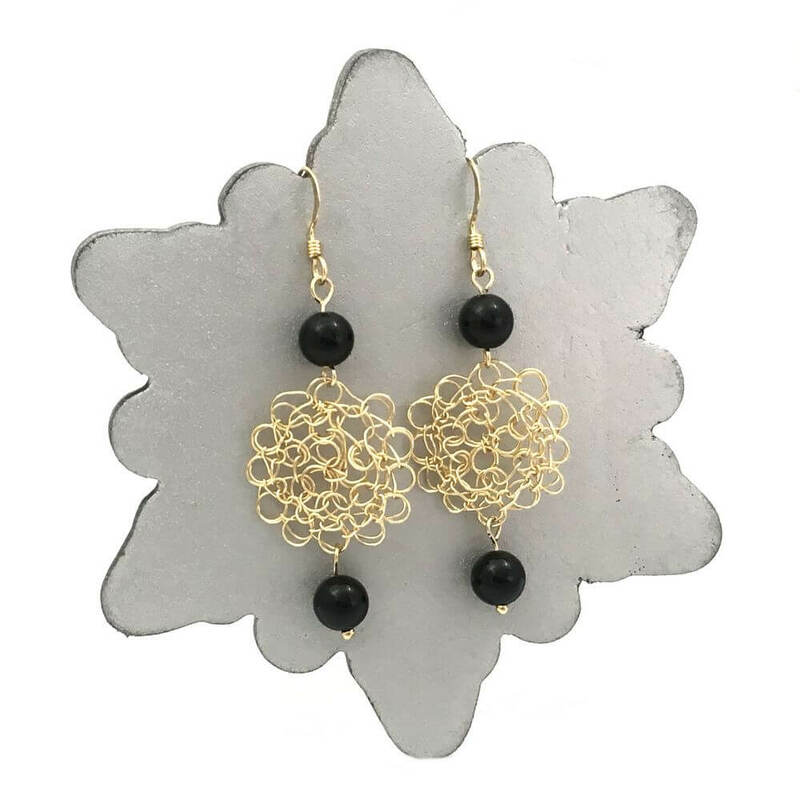 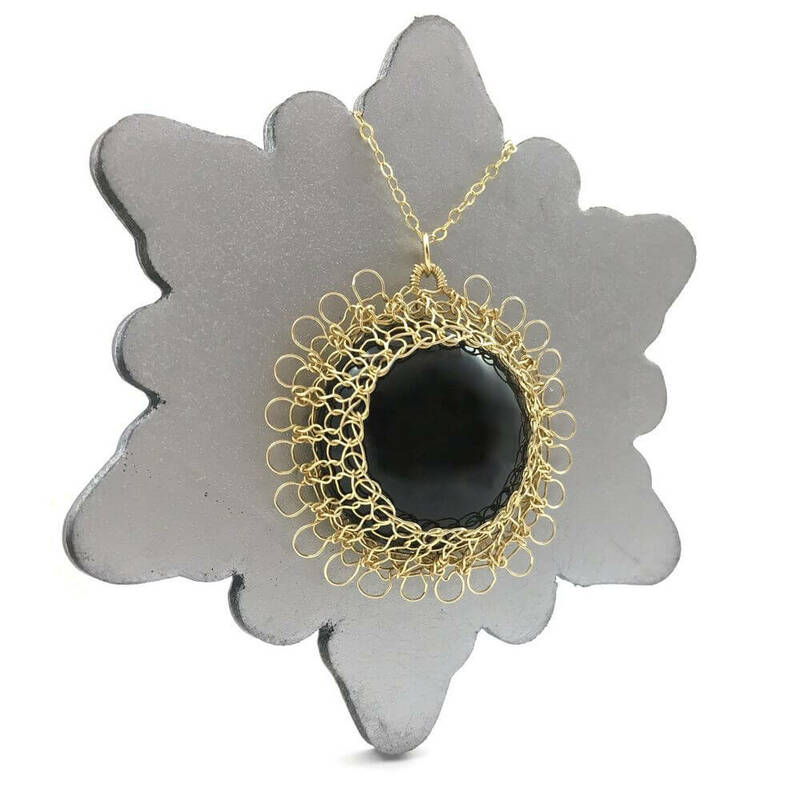 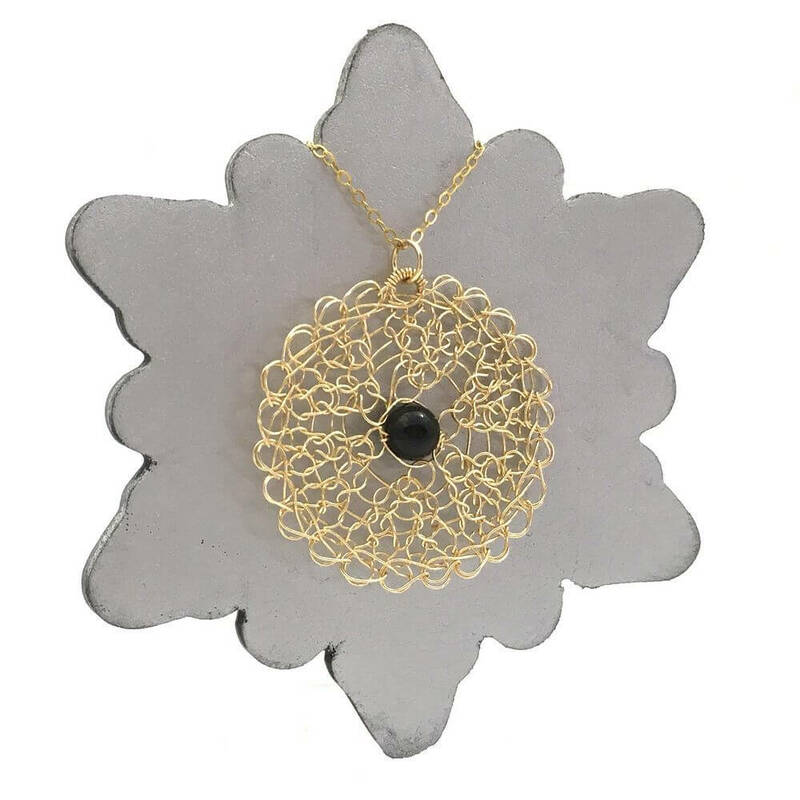 Light and comfortable to wear, the Gold Onyx Cosmo Earrings incorporate a circular crocheted form orbited by two deep black onyx stones. 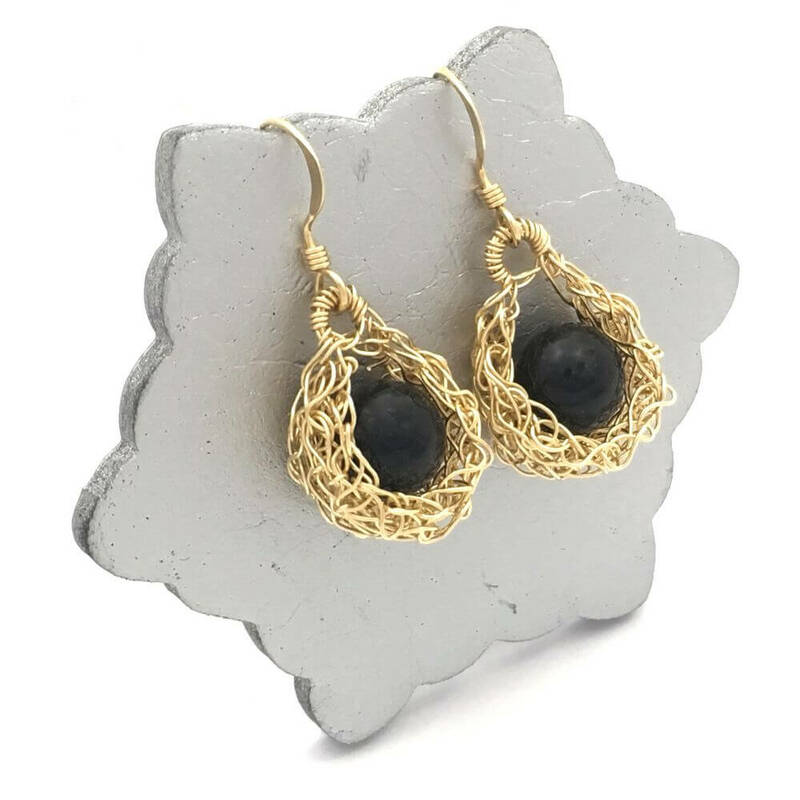 Crafted by hand using 14 carat gold-filled fittings and ear wires the Gold Onyx Cosmo Earring are shipped within 3 days of order and packaged in a hand finished gift box.